Load&Go is a Reloadable Visa Prepaid Card available at Heathridge Licensed Post Office within Heathridge Newsagency. Simply purchase a Load&Go card, load it with funds and off you go! 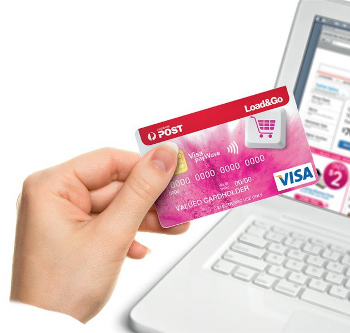 Use your Load&Go to shop online, by phone, in-store or overseas - anywhere Visa is accepted, including ATMs. • Manage your money. Spend with certainty. Secure and protected by Visa. No reload fees. No ongoing monthly fees. Instant reload available. • No credit checks. No interest charges. No application forms. Card fees and load limits apply. Card and product issued by Heritage Bank Ltd ABN 32 087 652 024 AFSL 240984 Australian credit licence 240984. Australia Post ABN 28 864 970 579 is the distributor of the card. It is important for you to consider whether this product is right for you and to read the full terms and conditions before purchasing your card.